We present these spectacular amethyst dangle earrings in a frame of lovely rose gold and diamonds. 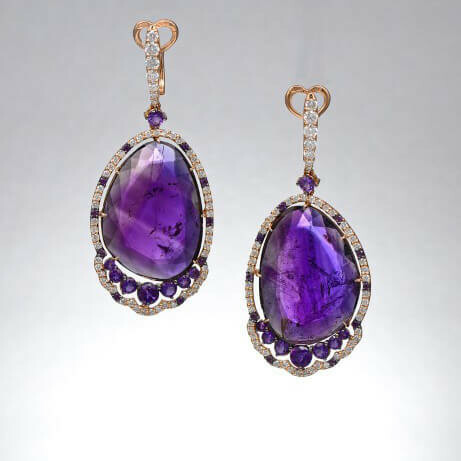 The large oval purple gemstones are highlighted by an ornate border of pave diamonds and amethysts. An 18kt rose gold frame adds a heavenly glow to these one of a kind Crivelli earrings.